This Knickerbocker premium metal frame is designed to have a low profile that keeps the height of your mattress several inches closer to the ground than a traditional metal frame. The lower height may make it easier to get in and out of bed while also fitting better into some bedroom sets. The universal design will support any standard sized mattress including twin, single, full, double, queen, king and california king. 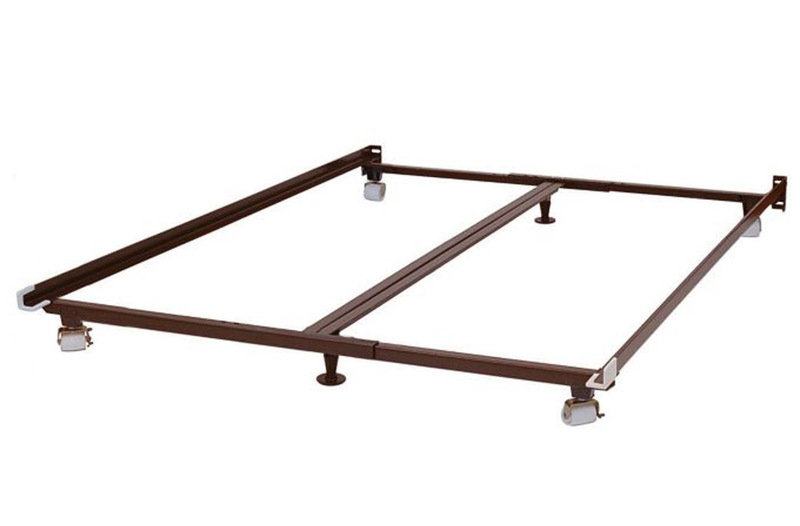 The center bar adds strength and the wide rollers make the bed easy to move without damaging your floor.